1 Piece Aluminum Bracket set. 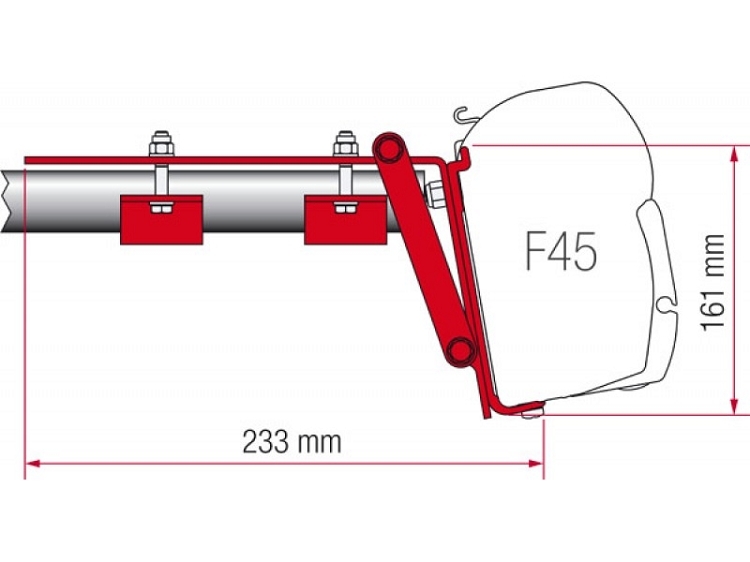 Mounts F45S awning to side of roof rack. Includes 1 bracket - order 2 or more. Works with crossbars that sit on top of uprights. Fits crossbars that are up to 5.5cm wide (2.165 inches), but also can be modified to work with Vantech J series or H3 racks.